Mt Arthur (1795 m) is one of the highest points on the Arthur Range and forms part of the iconic skyline on Nelson’s western horizon. 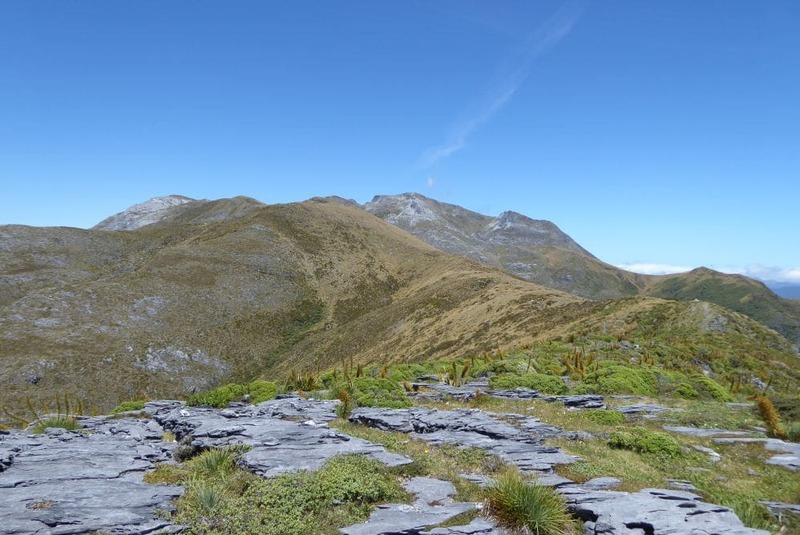 Protected within Kahurangi National Park, Mt Arthur and the neighboring Twins (1796 m and 1809 m) comprise fascinating karst landscapes, with glacially-molded cirques, spectacular outcrops of ancient marble, and rolling tussock ridges. The mountain is riddled with caves and sinkholes, and is the location of New Zealand’s deepest cave systems (Nettlebed and Ellis Basin), the exploration of which are ongoing. The mountain and wider area contain rare and nationally-significant ecosystems, which are home to a high number of threatened endemic species. Mt Arthur is named after Captain Arthur Wakefield, who played a significant role in the European settlement of Nelson. Mt Arthur and the surrounding ridges and valleys are dissected by a network of tracks that are high popular among day walkers and overnight trampers. 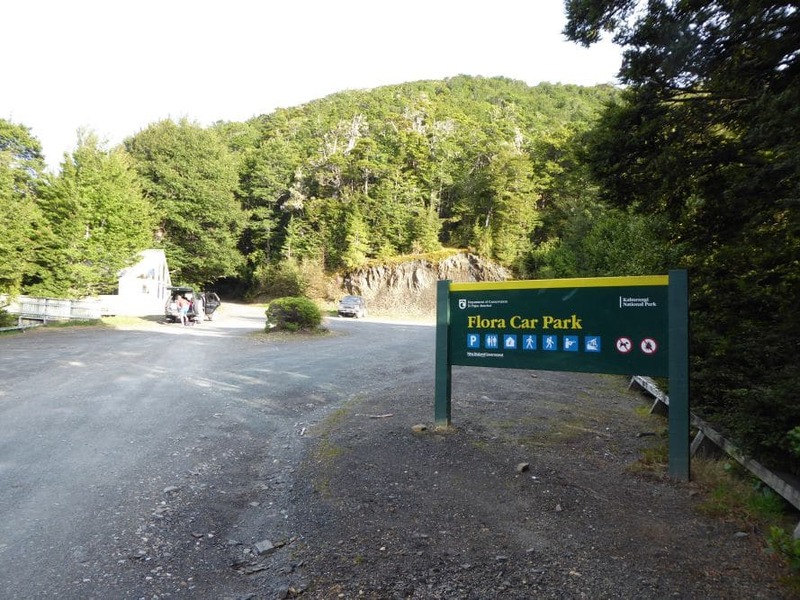 Flora car park is the starting point for Mt Arthur Track, Lodestone, and multi-day tramps to the Tableland, Cobb Valley, and Leslie-Karamea Track. Flora car park is located at 930 m elevation, at the end of Graham Valley Road, southwest of Motueka. Graham Valley Road begins off Motueka River West Bank Road near Ngatimoti, and is approximately 65 km from Nelson and 21 km from Motueka. The car park is located 10 km up Graham Valley Road, at the road end. Be aware that Graham Valley Road is steep and unsealed, and can be icy and snowy in winter. A 4WD vehicle is recommended, especially in winter. The road is also prone to slips, so check DOC Alerts webpage for road access updates. 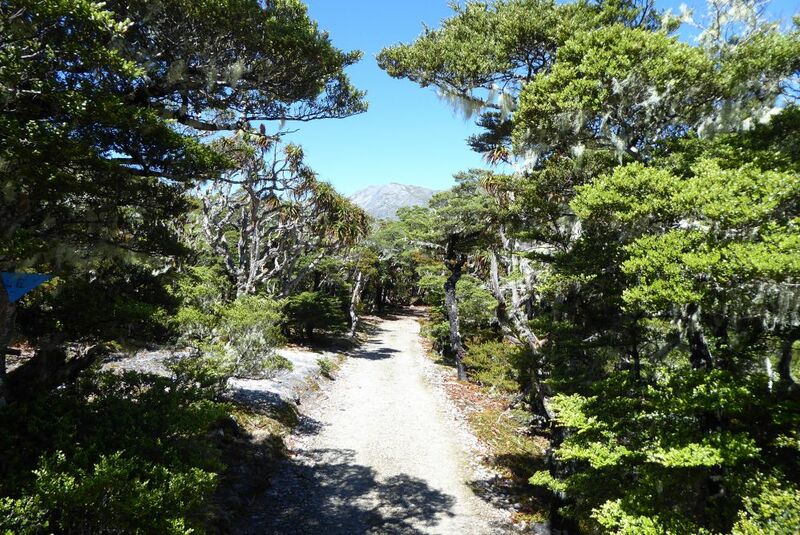 All tracks on Mt Arthur are located entirely within Kahurangi National Park. Flora car park is the starting point for Mt Arthur Track. 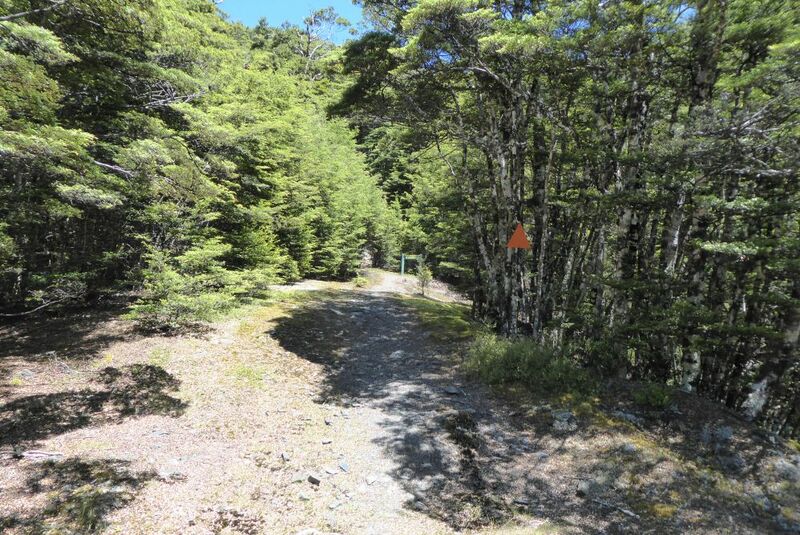 Flora car park is located at 930 m elevation, at the end of Graham Valley Road, southwest of Motueka. Graham Valley Road begins off Motueka River West Bank Road near Ngatimoti, and is approximately 65 km from Nelson and 21 km from Motueka. The car park is located 10 km up Graham Valley Road, at the road end. Be aware that Graham Valley Road is steep and unsealed, and can be icy and snowy in winter. A 4WD vehicle is recommended, especially in winter. The road is also prone to slips, so check DOC Alerts webpage for road access updates. 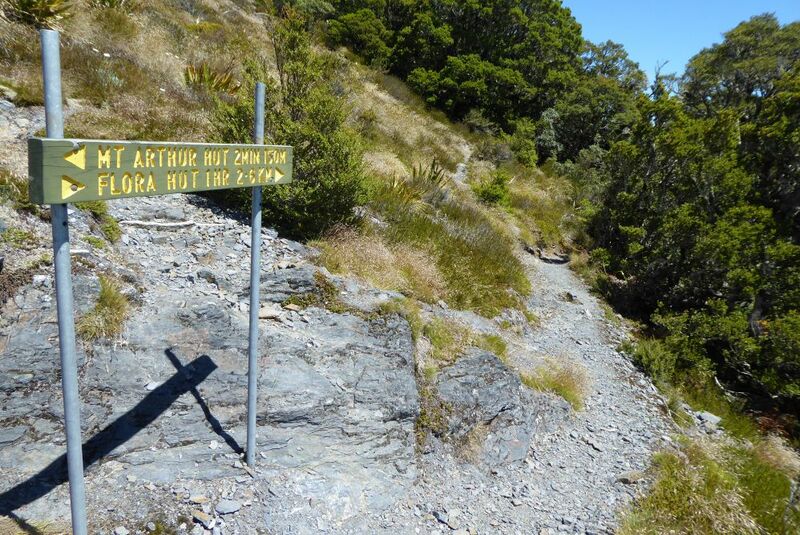 All tracks on Mt Arthur are located entirely within Kahurangi National Park. Mt Arthur Hut is located at the end of Mt Arthur Track. 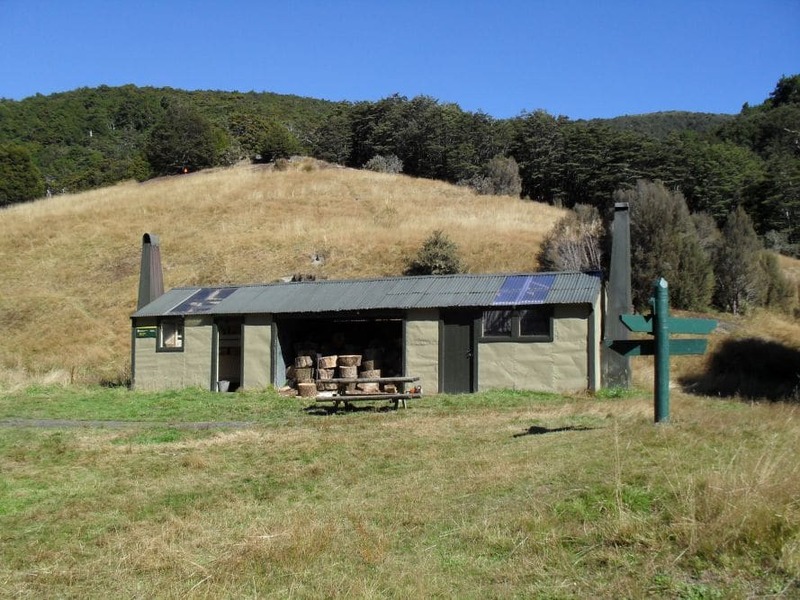 One of the most popular destinations in Kahurangi National Park, the hut is great as a day walk or an easy overnight tramp from Flora car park, and is perfectly located just below the tree line. Begin by following the 4WD Road (Flora Track) from Flora car park. 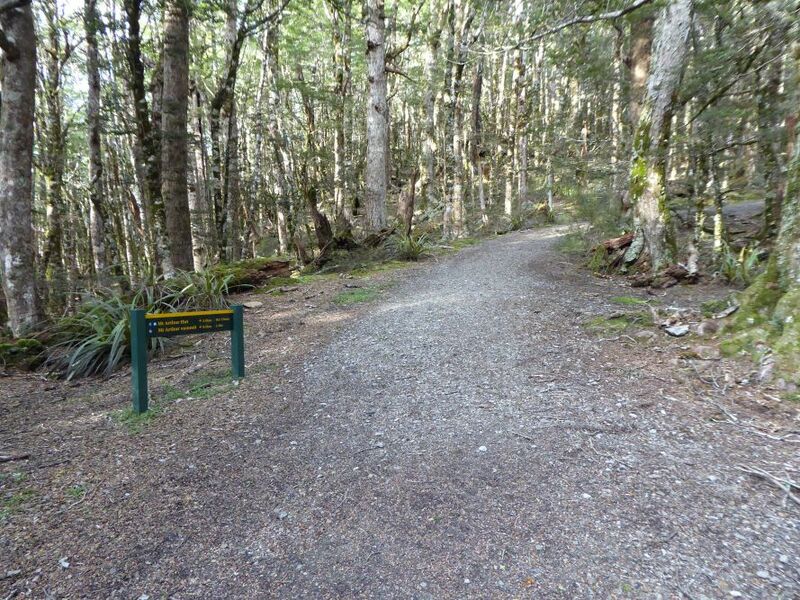 This will take you to Flora Saddle (975 m), where Mt Arthur Track forks to the left. The well-graded track has a gentle gradient as it climbs onto a ridge in a southwest direction, and soon enters a notable stand of dracophyllum traversii along the top of the ridge. The track steepens a little and winds up through tall, elegant silver beech trees. You will reach Mt Arthur Hut after around 1 hr 20 min. 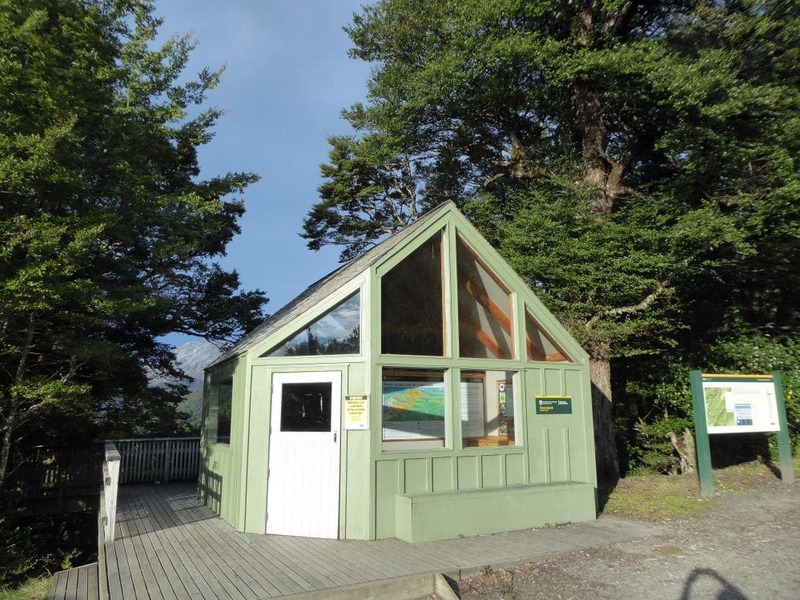 The hut is located just below the tree line, at 1300 m. There are great views of Tasman Bay and the Arthur Range from just uphill of the hut. Mt Arthur Hut is popular given its easy access. It is not a large hut, so do not be surprised to find it full. There is space for only a couple of tents outside, though you can also erect tent flies among the trees just downhill of the hut. On the return leg, you can retrace you steps back the way you came. Alternatively, you can return via Flora Hut. For the latter option, continue just uphill of the Mt Arthur Hut to a track junction, where you can turn off to Flora Hut. It is 2.8 km to Flora Hut and downhill most of the way. The first kilometre passes through tussock, which allows good views of Mt Arthur and Gordon’s Pyramid. 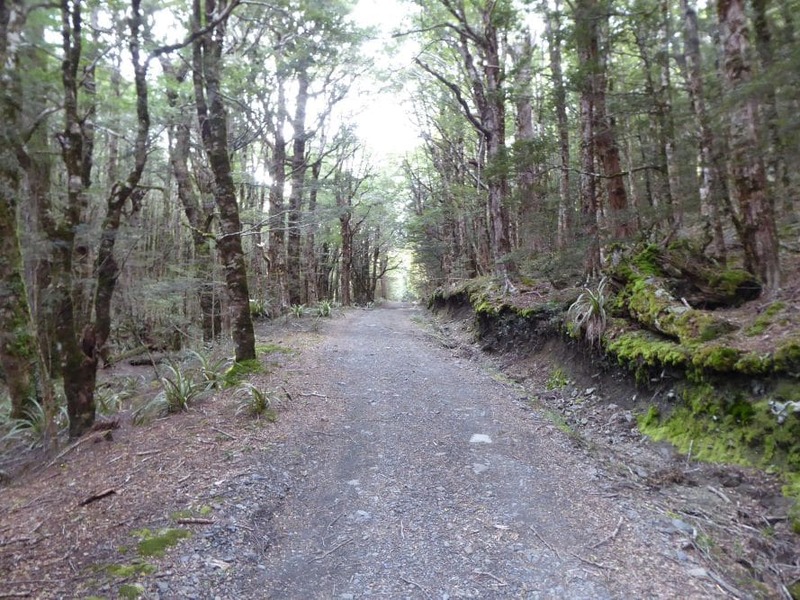 The track then enters beech forest, through which it continues for the remainder of the decent to Flora Hut. The track is tramping grade and is certainly more challenging than Mt Arthur Track, so it would be wise to wear decent outdoor footwear if you intend to do this circuit. Once at Flora Hut, head back along the 4WD road for 2 km back to Flora car park. Be sure to indicate your intended route in the visitor book at Flora Kiosk. Mt Arthur Track reaches a high elevation and is exposed above the tree line, so proper outdoor clothing is essential. Check the alpine weather forecast before you go. Do not rely on weather forecasts for the nearest town, Motueka, as the alpine weather may be drastically different. Summer, or snow-free trips are relatively straight-forward, though winter trips are a more serious undertaking. Mobile phone coverage is possible at Flora car park and above the tree line on Mt Arthur, though it is intermittent at best throughout the remainder of the area. The karst landscape is riddled with caves, sinkholes and bluffs. Do not deviate off the track, especially in winter, when snow will disguise the true ground surface. Mt Arthur (1795 m) is one of the highest points on the Arthur Range and forms part of the iconic skyline on Nelson’s western horizon. 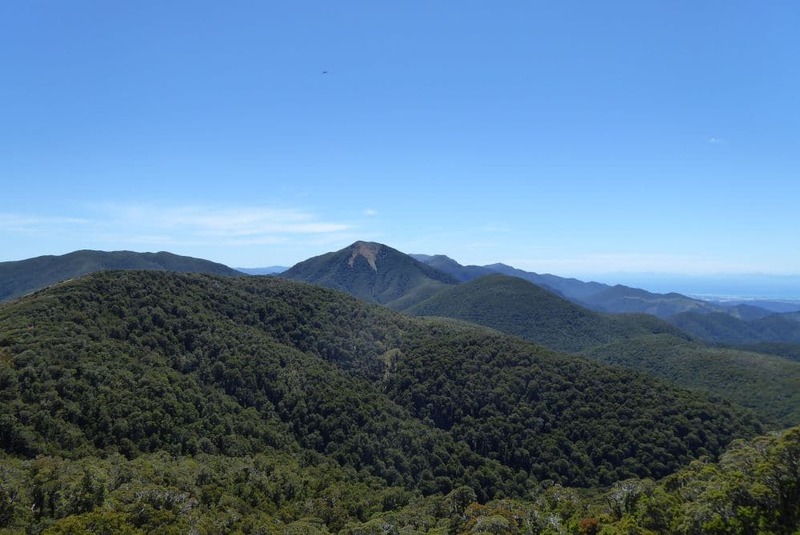 Climbing to the summit from Flora car park is a physically-demanding full-day trip, but you will be well-rewarded with access to fascinating karst landscapes, rolling ridges of tussock and alpine herbfields, and panoramic views of Tasman Bay and Kahurangi National Park. Flora car park is the starting point for Mt Arthur Track and Mt Arthur Summit Route. Flora car park is located at 930 m elevation, at the end of Graham Valley Road, southwest of Motueka. Graham Valley Road begins off Motueka River West Bank Road near Ngatimoti, and is approximately 65 km from Nelson and 21 km from Motueka. The car park is located 10 km up Graham Valley Road, at the road end. Be aware that Graham Valley Road is steep and unsealed, and can be icy and snowy in winter. A 4WD vehicle is recommended, especially in winter. The road is also prone to slips, so check DOC Alerts webpage for road access updates. 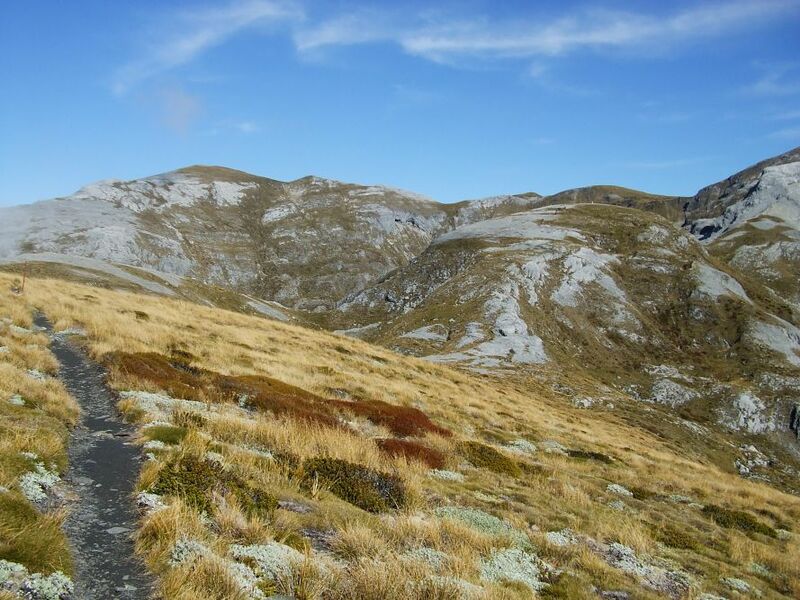 All tracks on Mt Arthur are located entirely within Kahurangi National Park. Begin by following the 4WD Road (Flora Track) from Flora car park. 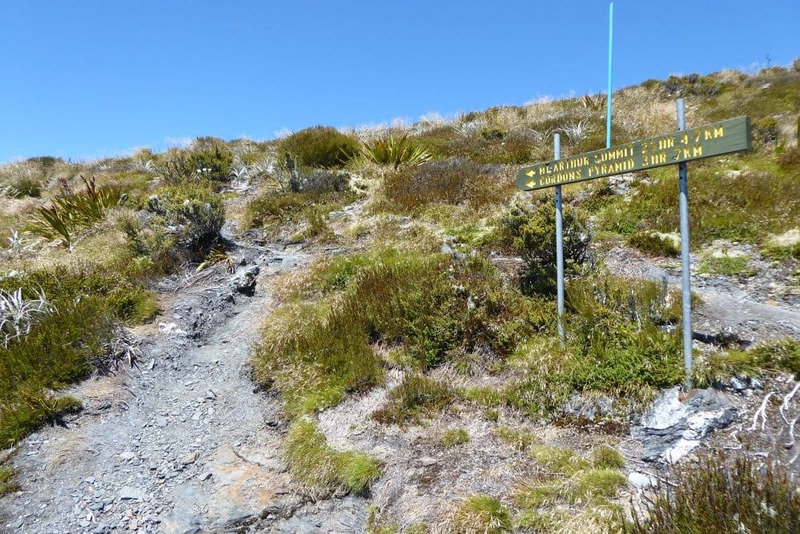 This will take you to Flora Saddle (975 m), where Mt Arthur Track forks to the left. The well-graded track has a gentle gradient as it climbs onto a ridge in a southwest direction, and soon enters a notable stand of dracophyllum traversii along the top of the ridge. The track steepens a little and winds up through tall, elegant silver beech trees. You will reach Mt Arthur Hut after 1 hr 20 min, which sits just below the tree line at 1300 m. There are great views of Tasman Bay and the Arthur Range from just uphill of the hut. Mt Arthur Summit Route continues above Mt Arthur Hut, where the beech forest makes way for rolling tussock, alpine shrubs and marble outcrops. Not far above the hut the track crosses over impressive sections of marble pavement, where you will get the first glimpse of the summit. Undulating at first, the track steeps as it climbs a spur onto the main ridge and then sidles it above the eastern side of Horseshoe Basin. 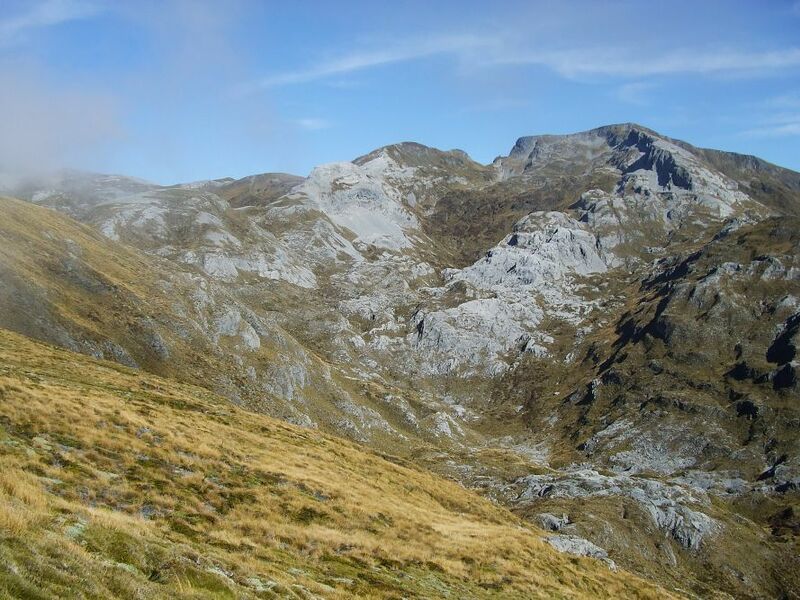 1.9 km from Mt Arthur Hut you will reach the turnoff to Gordon’s Pyramid Route, which descends west into the pockmarked topography of Horseshoe Basin, then takes a direct route over the summit of Gordon’s Pyramid (1489 m), and drops down to the Tableland and Salisbury Lodge (6.8 km away). Mt Arthur Summit Route continues along the ridge, transverses a few sections of loose scree that require a bit of attention to make sure you get your foot placement correct. The ridge narrows and the route drops into a low saddle overlooked by a massive marble outcrop, with shattered rock sliding from its base into the basin that drops very steeply to the left. The route climbs steeply to the right of this outcrop, and then over and around climbs over deeply-fissured marble, to the turnoff to Ellis Basin Route; the latter branches off to the left, eventually reaching Ellis Basin Hut (1 hr 30 min away). You will reach the saddle between Winter Peak and where a steep bluff drops very steeply into Ellis Basin to the south. The last few hundred metres to the summit crest of Mt Arthur are a steep rocky scramble. Note that the area below the summit is susceptible to avalanches in winter, so you will need to assess the risk before traversing. The summit is gently sloping and covered in loose rocks. On calm, fine days it really is an enjoyable place to have lunch and admire the spectacular views south towards The Twins, west to the interior of Kahurangi National Park and east across Tasman Bay. A circular cairn offers protection from the southerly wind. At 1795 m Mt Arthur is the fourth-highest peak in Kahurangi National Park, after Mt Owen massif (1875 m), Mt Snowdon (1859 m) and The Twins (1809 m and 1796 m). Descend from the summit by returning the way you came. Be sure to indicate your intended route in the visitor book at Flora Kiosk. Mt Arthur Summit Route requires proper preparation and care to ensure a safe trip. Check the alpine weather forecast before you go. Do not rely on weather forecasts for the nearest town, Motueka, as the alpine weather may be drastically different. Summer, or snow-free trips are relatively straight-forward, though winter trips are a more serious undertaking. Though the track is well-worn and marked with poles, deep snow will cover it in winter, meaning you must pay close attention to the poles. Consider the extra time snow will add to your trip. Basic snowcraft skills and equipment are recommended, particularly as there is risk of small avalanches below the summit crest. Flora Hut is a very easy walk from Flora car park. Though it is in a somewhat awkward position being barely 30 min walk from the road end, the hut is a great destination as an introductory overnight tramp for young kids. 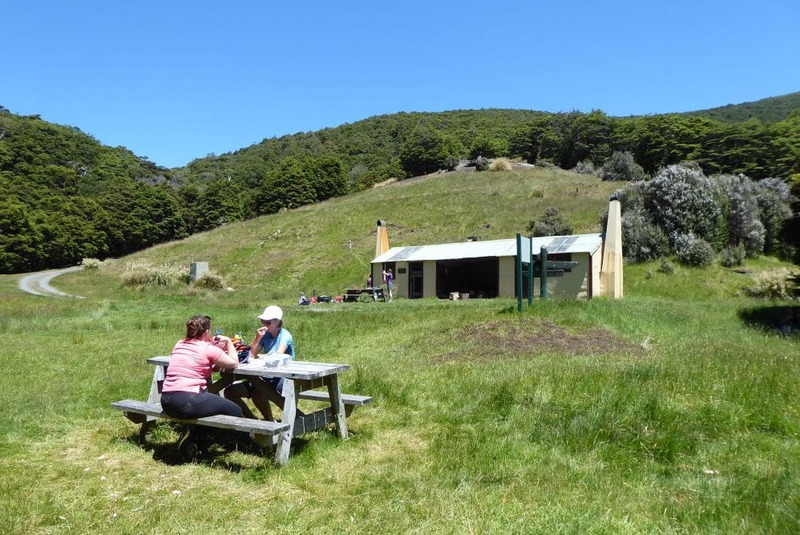 It is also a nice picnic spot on day walks up Lodestone and on Flora Hut-Mt Arthur Hut circuits. Flora car park is the starting point for Flora Track. Flora car park is located at 930 m elevation, at the end of Graham Valley Road, southwest of Motueka. Graham Valley Road begins off Motueka River West Bank Road near Ngatimoti, and is approximately 65 km from Nelson and 21 km from Motueka. The car park is located 10 km up Graham Valley Road, at the road end. Be aware that Graham Valley Road is steep and unsealed, and can be icy and snowy in winter. A 4WD vehicle is recommended, especially in winter. The road is also prone to slips, so check DOC Alerts webpage for road access updates. 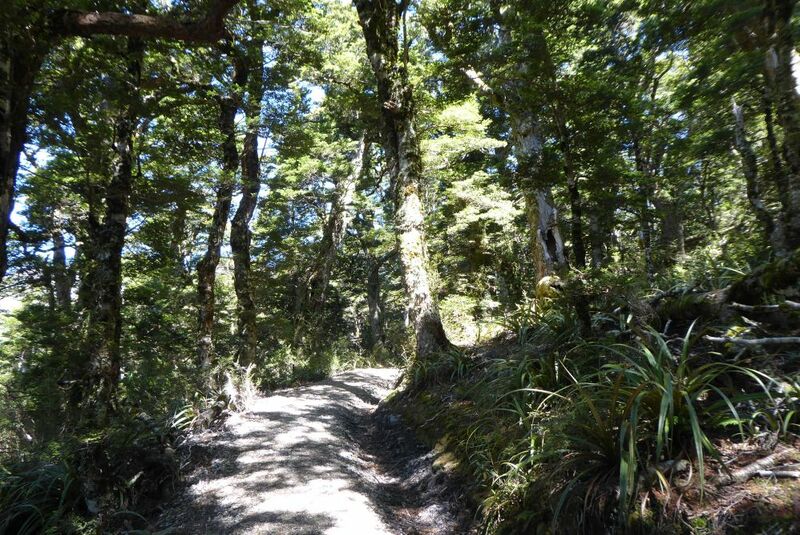 All tracks on Mt Arthur are located entirely within Kahurangi National Park. Beginning at Flora car park, follow the 4WD road as it gently climbs to Flora Saddle. At Flora Saddle, continue straight, as the road descends toward Flora Hut, with Flora Stream flowing in the gully on the right. You will notice the predator traps along the side of the road; these are maintained by Friends of Flora, who have been running a trapping and monitoring programme for nearly two decades. Flora Hut is located in a large, grassy clearing. The hut is somewhat distinctive among backcountry huts as it is actually two conjoined huts with a firewood bay in the middle. There are picnic tables out the front and plenty of room to pitch tents. Flora Stream is the hut’s water source. The site the hut stands on has a long history associated with the early pioneering days of Mt Arthur and the Tableland. In the latter half of the 19th century, a store had been set up to serve the gold miners working the Tableland, though no trace of it remained by the turn of the 20th century. In 1927 Mt Balloon Scenic Board built the first hut on the site, in order to encourage outdoor pursuits in the wider Mt Arthur area. In 1982 the hut was rebuilt by the Foresty Service with the same design as its predecessor. From Flora Hut, Flora Track continues northwest down Flora Valley. 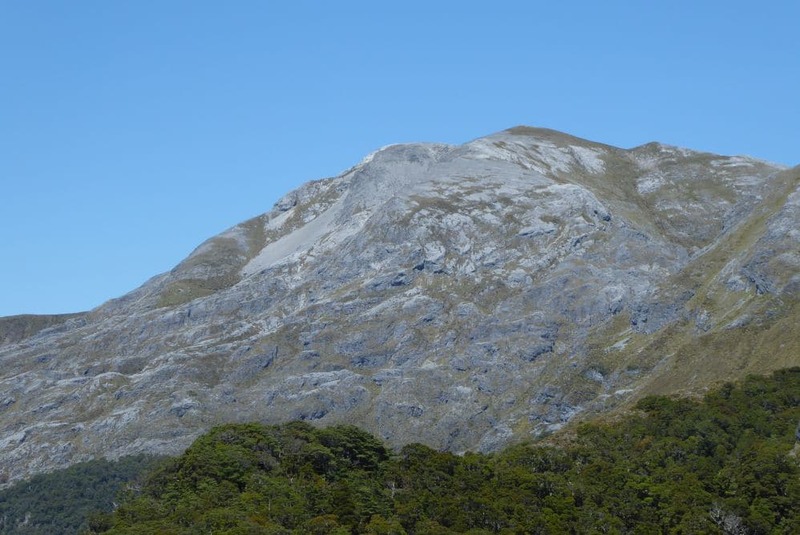 Upper Junction is 6.3 km away; here Flora Track ends, and Salisbury Track continues south to the Tableland, and Upper Takaka Track continues north to Asbestos Cottage and Barron Flat. 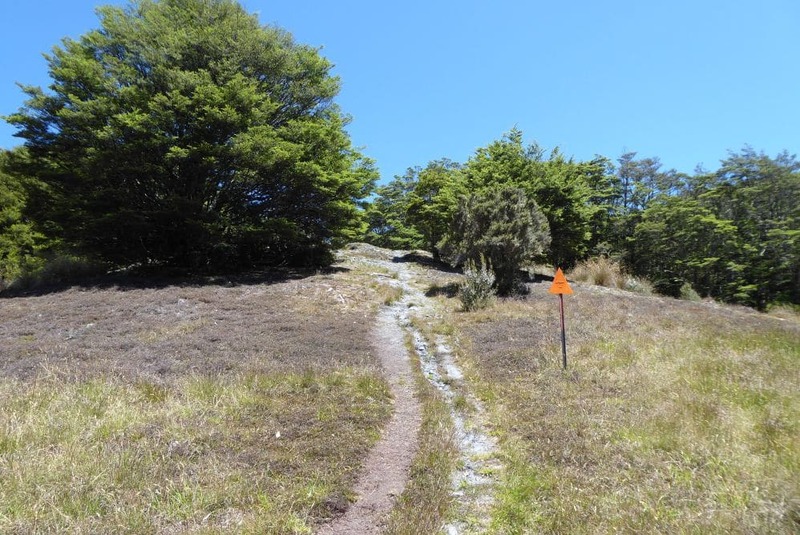 Note that MTBs are allowed on Flora Track and Upper Takaka Track only. To create a circuit with Mt Arthur Hut (2.8 km away), you can follow the track that climbs uphill directly behind Flora Hut. 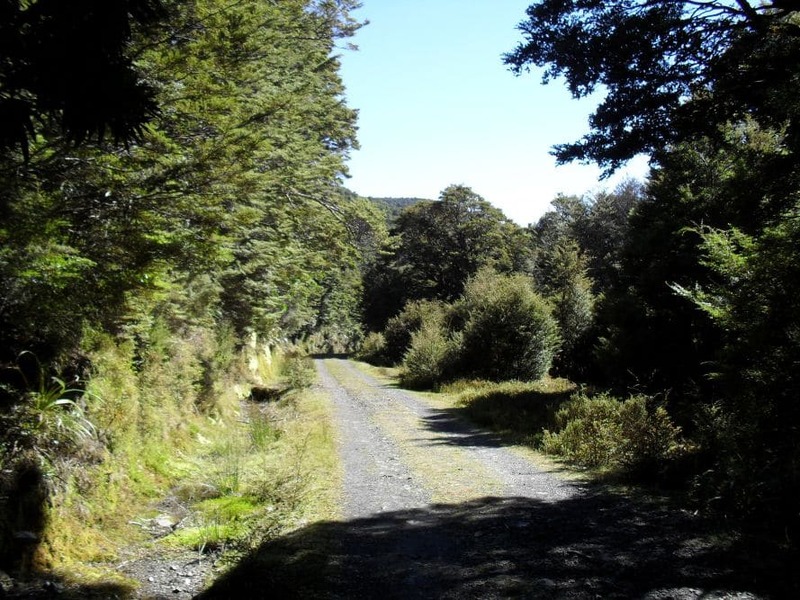 This track climbs out of the valley and up a spur through silver beech forest. Once at the top of the spur at 1300 m elevation, the forest open up to tussock which allows impressive views of Mt Arthur. The track connects with Mt Arthur Summit Route just uphill of Mt Arthur Hut. Lodestone Track also starts at Flora Hut, instead heading in the opposite direction by crossing Flora Stream and heading straight up the ridge directly to the north ( and eventually returning to Flora car park). Be sure to indicate your intended route in the visitor book at Flora Kiosk. Check the alpine weather forecast before you go. Do not rely on weather forecasts for the nearest town, Motueka, as the alpine weather may be drastically different. Mobile phone coverage is possible at Flora car park and above the tree line on Mt Arthur, though it is intermittent at best throughout the remainder of the area.